Joe Althaus, Wright Brothers Institute Rapid Innovation Program manager, determines the power consumption of a piece of equipment as Isaac Weintraub, Air Force Research Laboratory’s Aerospace Systems Directorate electronics engineer, observes during a rapid innovation session at AFRL’s Maker Hub. Rapid prototyping such as this supports Secretary of the Air Force Heather Wilson’s focus on getting battlefield solutions to warfighters faster. To build strength and endurance, athletes perform “intervals” or short, intense periods of exertion designed for maximum benefit in the shortest time possible. 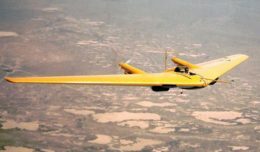 Thanks to the Air Force Research Laboratory’s Maker Hub at the Wright Brothers Institute, that same kind of benefit is possible for some of the Air Force’s most leading-edge innovators. It’s called a tech sprint and they happen fast – five days with scientists, engineers, researchers and partners focused specifically on finding solutions to some of the Air Force’s most difficult problems. AFRL and WBI work together to deconstruct the problem, organize the sprint process and gather the right participants to tackle the problem in the most efficient way possible. WBI is currently experimenting with a combination of the Google Design Sprint methodology and their diverge/converge problem-solving approach, to create a tech sprint process that is customized to Air Force needs. Each day is meticulously planned to explore the problem, create competing solutions, design, produce functional prototypes and then demonstrate that prototype to stakeholders with a focus on receiving feedback in order to refine solutions. At sprint participants’ disposal is a high-tech laboratory filled with a variety of industrial-grade 3D printers, electronics design and prototyping equipment, design and testing software, a machine shop including a CNC mill, router and laser engraver. “Whether you want to explore new applications or product ideas, learn a new skill in a hands-on way, or create a tangible design to demonstrate your research, tech sprints enable AFRL teams and partners to work on a short-term basis to explore high risk/payoff solutions to extremely challenging technology problems,” said Terry Cunningham, Maker Hub director. Cunningham’s efforts echo the battle rhythm set forth by Secretary of the Air Force Heather Wilson. The tools of the tech sprint are many — the results, often immediate. “Our first project actually started with a snow delay earlier this year,” said Kevin Yost, an AFRL Aerospace Systems directorate engineer. A multi-day meeting at WBI’s Innovation and Collaboration Center, where Yost was to speak the following day, was delayed by two hours and the Maker Hub was open at their usual 7:30 a.m. time. “We got to talking and determined the Maker Hub could provide 3D models to represent some of the concepts I was trying to present the following day. Responsively, the Maker Hub turned around four model prints in under 24 hours. The models were well received at the presentation and I’ve used them many other times since then to help deliver the message,” Yost said. 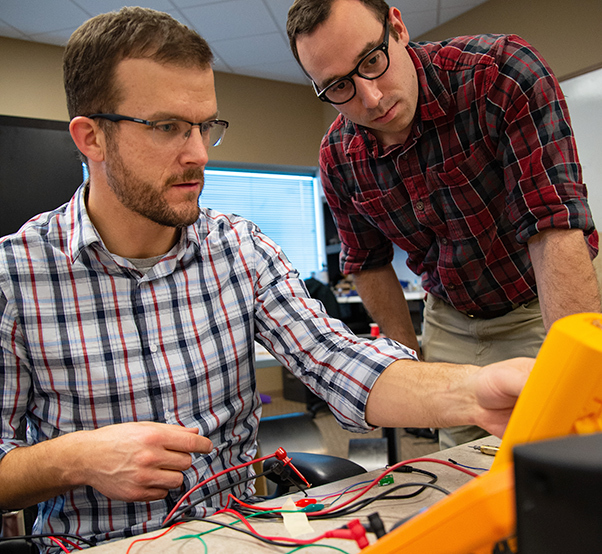 The AFRL and WBI Partnership Intermediary Agreement allows for and promotes innovative problem-solving like this, along with research and development collaborations – something Tom Mitchell, Maker Hub manager, says is leading to some serious paradigm shifts. And as the motor/generator’s progress is developing, so is the relationship fostered through the partnership. For sure, tech sprints aren’t always successful. When it comes to rapid innovation, finding out what doesn’t work can be useful as well in finding the way forward. “Rapid innovation is inherently risky and the use of the Maker Hub allows one to quickly iterate and test new solutions. We got exactly what we were looking for,” said Joe Althaus, WBI’s Rapid Innovation Program manager and lead for the “Incentives for Innovation Pipeline” who has worked with the Maker Hub on six of nine AFRL sprints held so far, including one that led to the design of a new seat for C-5 Galaxy loadmasters. The prototype of that seat will be presented to loadmasters of the 60th Air Mobility Wing, who will provide their inputs to further refine the design. Cunningham said that as more people learn about the Maker Hub, the number of tech sprints is increasing as end users realize the advantages of rapid prototyping. Cunningham says success stories like these motivate him to provide even better service in the future, helping to lead the way in Air Force innovation. “We are always striving to get more sprints that create more results for our scientists and engineers, but more importantly—real world solutions for our warfighters at home and abroad.” Cunningham said.